It’s no news that one of the ways bloggers and website/blog owners monetize their blog is using adsense. If you are just getting to know this, then it is good for you to incorporate adsense on your blog so you can start making real money from it as a Nigerian. The truth is, it is not all blogs that use adsense as a means of demonetization. You too may not but there is no harm in trying it out if you are just starting out. In this post, you will learn what you need to do to get your adsense cheques in Nigeria. You should read this to the end because it contains additional information some people will charge you for. You will not only learn how to receive your cheques, you will learn the things you need to do before you are qualified to receive the adsense cheques in Nigeria. When your AdSense earnings reaches $10 or 7 Euros, you will receive an email from Adsense that you are qualified to receive a PIN. This PIN is your adsense personal identification number. It will be sent to the address you used when registering for adsense. You will also be sent more information on what you need to do with the adsense PIN sent to you. You would get this PIN in Nigeria between 3 – 4 weeks after it was initially sent. If you didn’t get it at first, you can re-apply for the PIN. With more best practices and avoidance of ban from adsense, you will be eligible to receive your cheque after your earnings reaches $100 or 70 Euros. 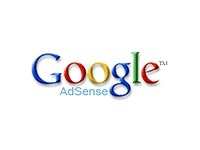 You will be sent an email by Google Adsense. They would alert you of your payment and when it was sent to you. It will be sent to the address you used in registering. Note, you can change the address any time. Just make sure you do that before the cheque would be sent to you. You will be receiving cheques every time your earnings reaches $100 or 70 Euros before payment dates. Usually, adsense cheques their records and compile the list of people who will receive cheques and the amount every 15th day of the month. If your earnings reaches $100 or 70 Euros before 15th day of May, you will be sent the cheque in June. After the cheque has been sent to you, it will take between 4-5 weeks before you receive it in your Nigerian address. Once you receive it, you can make a photocopy or have a scanned copy to keep for record purpose but make sure you don’t get it lost. You should then take the cheque to your bank and pay it into your dollar (domiciliary) account just like you would pay a cheque into your normal current account. 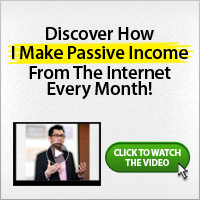 After you do this, it will take another three weeks for you to have access to your earnings. with this, your bank would have removed their own transfer charges. This is because, your bank will help you cash your adsense earning from Google Adsense account on Citibank to your own account. Can I pay in a Euro cheque into a dollar account in Nigeria? Dollar accounts comes with an euro and pounds accounts. If you pay in Euro, it’ll be credited into your euro account. You really did a good job by detailing it. Nigerians shouldn’t have problem cashing they earning with your explanation.